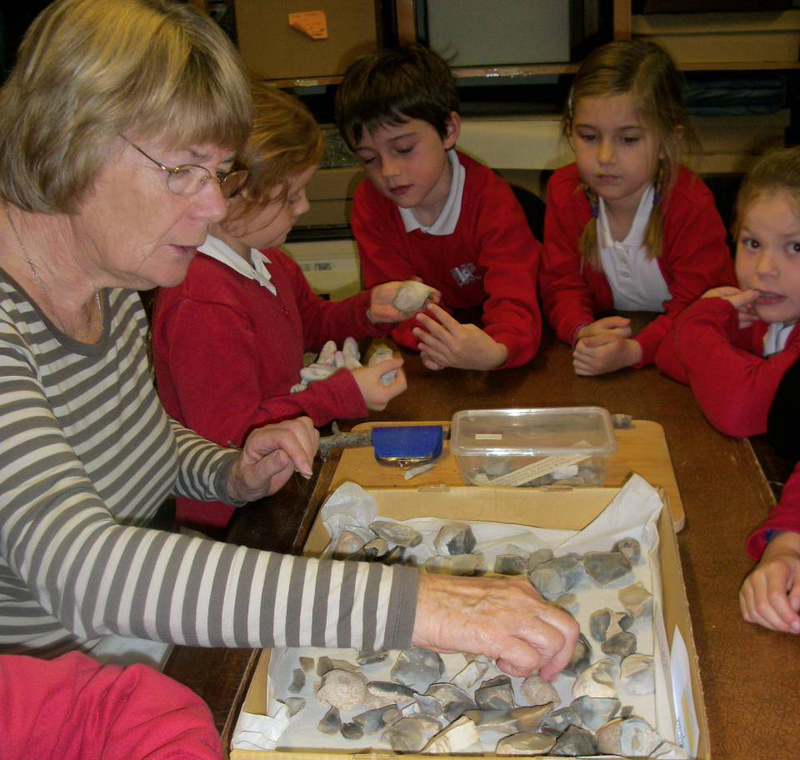 We were delighted to welcome Year 3 of St Agnes Primary School to the Museum recently as part of their studies into Early Man. Everyone was able to handle flints found within the Parish at Dicky Pool Downs, in the Wheal Lawrence valley, and to see examples of an arrowhead, a greenstone axe, and a quern. There was also a quiz to do, while they studied the first-floor exhibitions, and a look at the Great War exhibition. 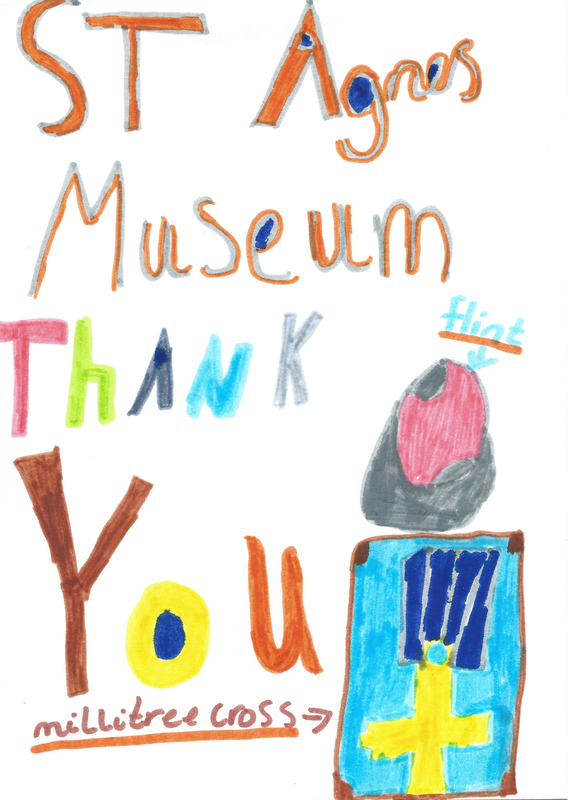 We were very pleased to receive this colourful Thank You card!